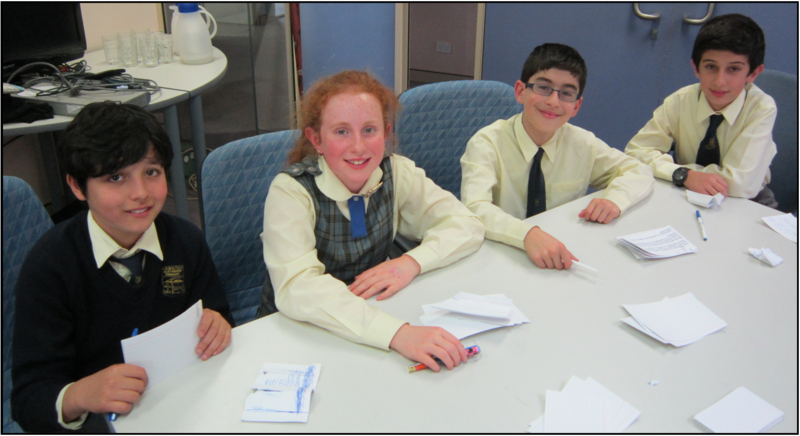 AGBU Alexander Primary School - Blog: DEBATING FINALS HERE WE COME...! Last week our debating team travelled to Sydney Japanese School for their last debate of the competition. Our topic was ‘Space Exploration is worth the money’. APS consisting of Samuel, Ani, Jonathan and Kevork were the affirmative and SJS, the negative. It was a very challenging debate right from the beginning. Arguments and rebuts were being exchanged, we were even able to repair a rebut the negative team presented to us! Unfortunately the debate was awarded to the Sydney Japanese School. Now this meant that we had both won 3 out the 4 debates and both of us were progressing through to the finals. Thank you must go to Mrs Laura Demirjian for helping with transport on the day. In class we are busily planning our fantastic arguments and rebuts for ‘New is Better’ that we will present next Wednesday 14th August at the German International School. We invite any Year 5 & 6 parents to come along to see the great work that we have done in debating and join in the party afterwards!